What is a drostdy? 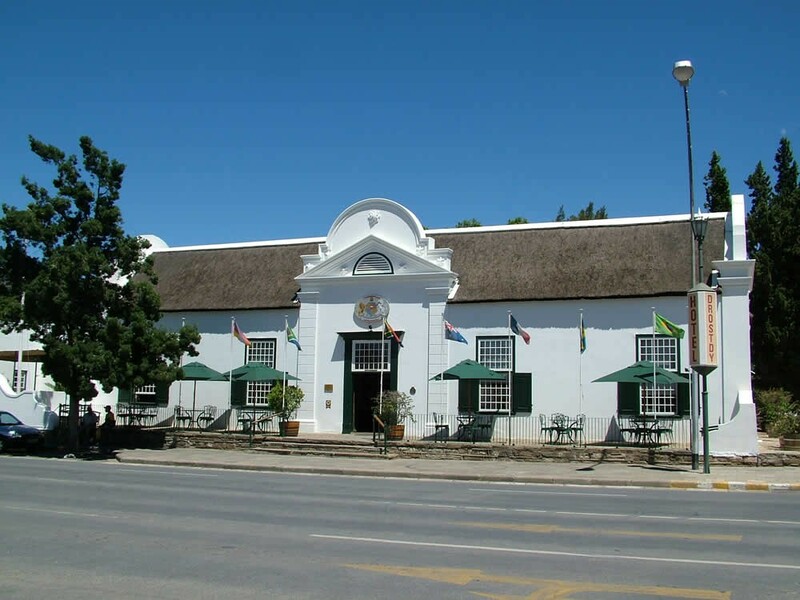 It is the office or residence of a landdrost, a Boer magistrate in a rural district of South Africa prior to the establishment of British administration. Shortly after 1900 it was altered extensively into a double story building with a Victorian façade. 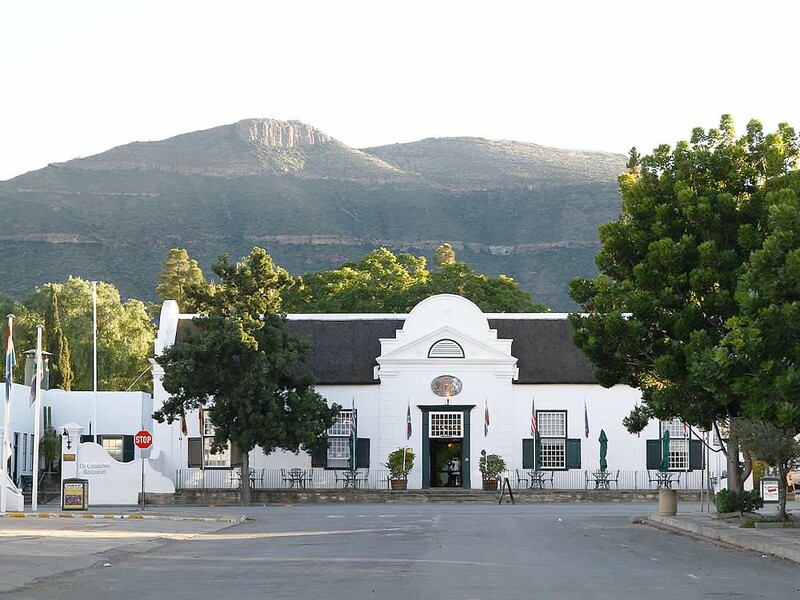 After Kromm sold it in 1903 it continued as a hotel under various owners until its acquisition in 1975 by Historical Homes of South Africa when the building was restored and with the adjacent Stretch’s Court converted into an upmarket hotel. Stretch’s Court named after the Government Land Surveyor at Graaff Reinet Capt. Lennox Stretch was sold to Capt. Stretch in 1855 who divided the original stand into allotments in 1858 and sold to various buyers among who were coloured labourers. Behind the Drostdy as a narrow pathway which led from Bourke Street to Church Street through the gardens of the Drostdy and with the subdivision of the allotments became a cul-de-sac. Later when the Drostdy building was first converted into a hotel this passage remained. This “vrygang” or “free street” was the original name given to the present Stretch’s Court. The “vrygang” refers to the free passage or “freed” slaves living there. 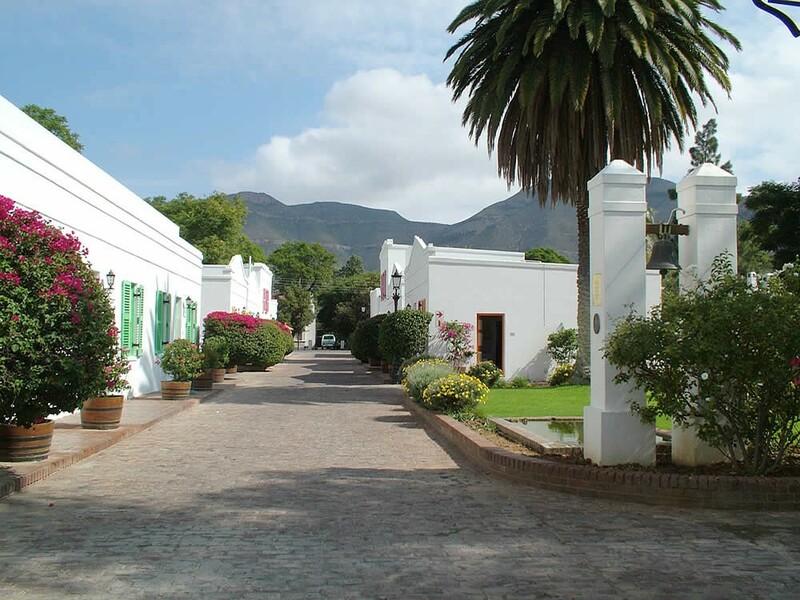 The families who occupied the cottages in Stretch’s Court were eventually removed under the Group arrears Act of 1960 to Kroonvale and in 1966 Historical Homes of South Africa acquired the properties and today the cottages with their unique architectural styles form a quaint street scene which forms part of the Drostdy Hotel.